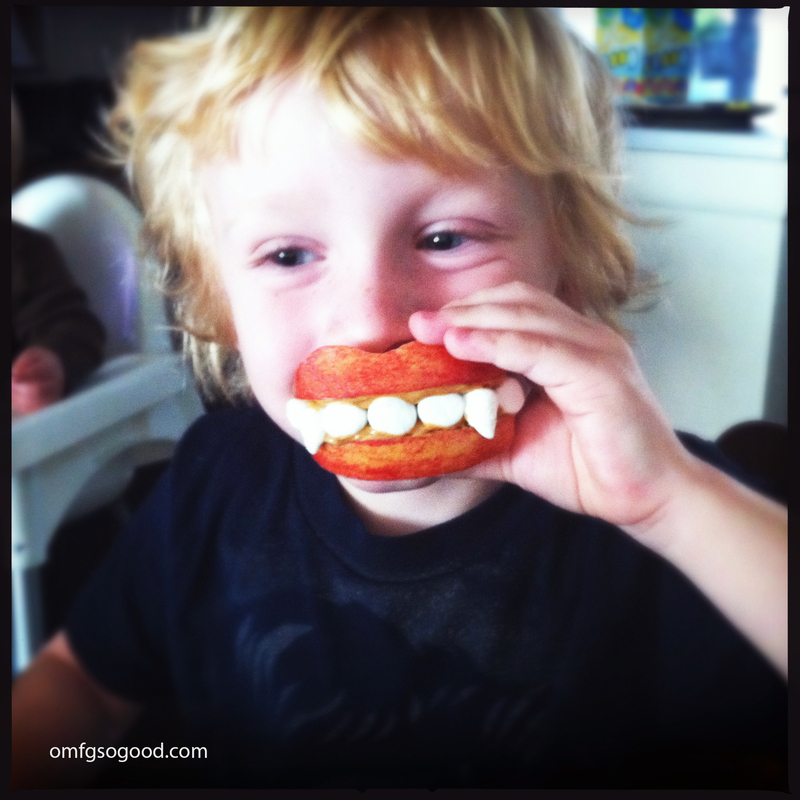 apple marshmallow fangs | omfg. so good. ‘Tis the season for spook-tacular snacks! Head on over to Dad or Alive to read my full guest post with all the creepy details. Maybe even check out some of his other crazy stay-at-home dad adventures while you’re there.